The Resume Writing Services provided by Objective: Resumes will help you Get More Interviews and Job Offers, We Guarantee it! Resume writing services today can play a pivotal role in assisting candidates in navigating a job market that is more competitive and complex than ever before. The growth of job boards and technology has provided job seekers with more opportunities to gain job market exposure; but with a cost – more candidates are applying for each available position, at all levels from the entry level to the executive suite. Many job hunters just like you in all parts of the country report submitting hundreds of resumes and getting few, if any, interviews. The problem, more often than not, is the way in which the job seeker’s resume presents him. Your resume and cover letter are, in most cases, the first impression that a potential employer will have of you. You only have one opportunity to make a good first impression. And, if your resume does not get you the interview, then you will never get the job. But, the right job will change your life forever. 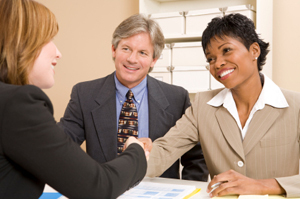 OUR RESUMES WORK, assisting candidates at all levels in securing interviews and winning jobs. Among the oldest continuously operating resume services in the United States, Objective: Resumes has been turning job seekers into job finders for more than 25 years. During that span, we have assisted over 10,000 candidates for employment and we can help you achieve your career objectives. If you are seeking free sample resumes, resume samples, or resume templates from which to copy, you needn’t search our site further. Each of our resumes is custom-tailored to the qualifications and goals of the individual candidate. We respect the privacy of our job candidates and will never release information or display a sample of any job seeker’s resume in any form whatsoever. Crafted by expert writers with extensive resume writing experience, our resumes, curricula vitae (CV’s), cover letters, and supporting documents are rich in keywords/ buzz words, optimized for search via scanning and database technologies, and focus on your accomplishments and those aspects of your background that distinguish you from other potential job candidates. Different from free resume templates readily available online, examples of resumes prepared by other services, and candidate developed resumes, our resumes are created from the point of view of the employer and clearly and compellingly present what you have to offer to their organization. Your Resume: Succinct and Boring or Detailed and Powerful?